Hi, friends! 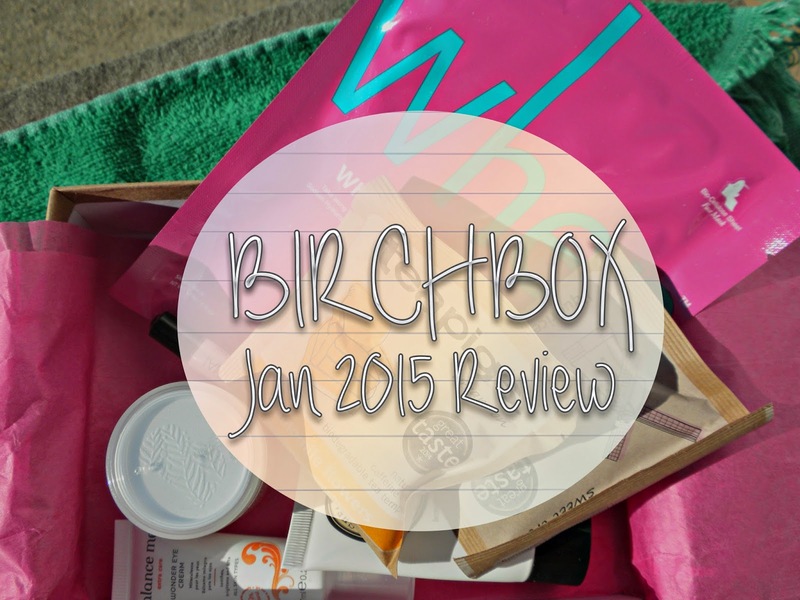 Today I'm back with my monthly Birchbox unboxing. Also, not that this will make a difference to any of you, but I'm writing from my dorm room again! It's been five weeks since last semester ended, and now I have to find a way to kick myself back into work mode. With my last semester finally here, and not somewhere off in the distant horizon, I have to remember how to not be a lump and start acting like a responsible adult again. Suggestions for how to do this are much appreciated. As always, Birchbox, you flatter me. 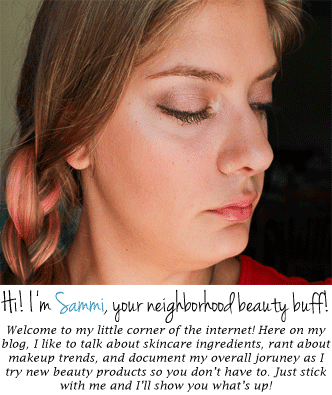 This month, rather than selecting one of the "Choose-Your-Sample" options, I decided to go with the curated box! Each month, Birchbox has a box or two that has already been filled with products, and you're welcome to select that instead of being surprised. Usually, I'm not in love with the products in the curated boxes, but I really liked what I saw in this one! Plus, the three sample choice options this month were all body lotions that I didn't care about, so there's that. The box I chose was the "Relax and Recharge" box. For the past five weeks, my life has been a constant "relax and recharge," so maybe they should have had a "Get Up and Do Something" box instead. The theme card included talks about how we all need to take time for ourselves. It also mentions the 31 Day Challenge, that involves things like exercise and health, two things I think I'm allergic to (? ), so needless to say I am not partaking. Turn that card over, and you have the lovely information card! This tells you all about what products you received, how much the full-sizes cost, and what they are. Huzzah! The little green container didn't make it safely through the trip, but luckily the products inside were unharmed! Somehow, I've ended up with three of these eye cream samples over the past year. 1) From a free sample with purchase from the Birchbox Shop, 2) In my October 2014 box, and 3) This one, because the specially-curated boxes allow you to get doubles of products. I think this is their way of telling me that I actually need to try this product now. This tube will last me at least a month, which is great. I really liked Balance Me's hand cream (see my Empties) so I hope I like this, too! Since I cut my hair, I haven't been using a lot of hair masks or oils, since my hair isn't that long. When my hair gets a little bit longer, however, I'll be excited to try it! I got one of these lip glosses in last month's box, and I liked the formula so much I opted for another! This shade is in All of Me, which is a pretty pinky-purple color. When they call it a stain, they don't lie--after trying to rub this off, it left behind a stain that lasted for hours! It's really gorgeous, and I'm excited to wear it. My only gripe about this sample (as mentioned in last month's box) is that in order to open the tube, you have to remove the label, which is a bummer. What if I wanted to remember what brand and shade the product was, huh? Not the best form of advertising, Manna Kadar. Well, at least I have this blog to jot everything down in so I don't forget. I'm always up for a new mask to try! I don't have much experience in sheet masks, but I tried the My Beauty Diary Hyaluronic Acid sheet mask from a roommate and really liked it. I try to bring as few things as possible with me when I travel, so I'll probably just use this on a lazy Sunday. I hope I don't like it, because I don't want to spend $7 every time I want to use one! I've never drank so much tea than I did these past five weeks. My mother has tea at least 1-2 times a day and always boiled extra water so I could have some. I've definitely been a tea kick, so I was happy to receive these. The tea bags are really cute, nicer than the boring ones you get in the big box of tea, but I don't know if that justifies the cost. The Chamomile Flowers flavor tasted just like regular ol' Chamomile to me, and by the time you add a teaspoon of honey you won't notice the difference at all. I'm not a fan of peppermint tea, but I brought it to school with me anyway in case I feel daring enough to try it. The Best: Probably the Perlier, because I have a problem. The Worst: Nothing, but I'm going to say the hair mask just because I won't use it right away. The Verdict: I'm really happy I picked the curated box this month! I'll get use out of everything (eventually) and I appreciated the variety. I like getting a little bit of everything in my box! Disclaimer: All photographs taken by me. I purchased this Birchbox with my own money. Not sponsored. No affiliate links, only the Birchbox referral link. Just me livin' my life.